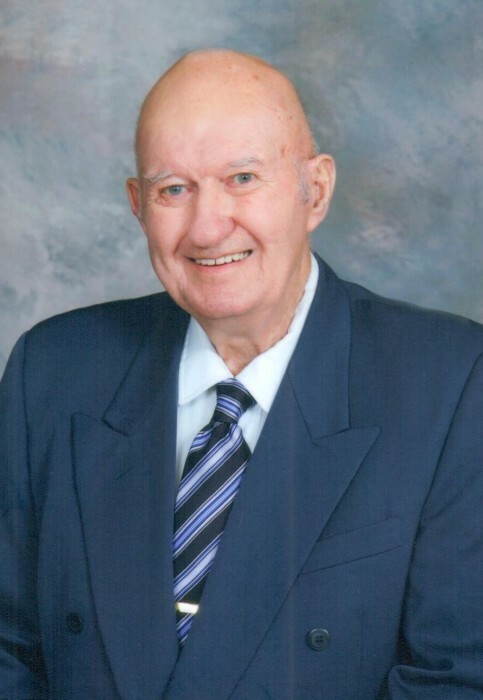 Donald Ernest Holman passed away very peacefully at the age of 88 on January 25, 2019 in the Royal University Hospital in Saskatoon, SK. Donald was born on February 20, 1930 in the Belbutte area to Charles & Gladys (nee: Clifton) Holman. At the age of 8 his parents and older brother Kenneth left the area to go to England, where both his parents were born, in hopes of finding a better life. Things did not turn out as expected and they returned to the Belbutte area spring of 1939. In December of 1939 they took up a homestead in the Bannock area. In the early 50’s Don worked on the oil rigs in Alberta. He met the love of his life Ethel Czank at a dance in Bannock. They courted for a couple of years and married in 1954. They raised two children Theresa & Kevin on a farm just east of Mistatim about three kms west of the original homestead where Donald grew up. Donald was a grain farmer and the Mistatim Community Pasture Manager from 1963 to 1994. During the winter months from 1969 to 1994 he was a Bush Contractor hauling timber to the Hudson Bay Pulp Mill. He was a member of the Lions Club and Gun Club in Mistatim. Donald enjoyed his retirement and looked forward to vacations and fishing trips. In 2007 Donald & Ethel sold the farm and moved to an apartment in Prince Albert. In 2010 they bought a house in Shellbrook where he remained until his passing. In 2014 Ethel passed so Donald took on the domestic duties. He longed for the springtime which meant going for walks, gardening and fishing. He was a member of the Gun Club in Shellbrook, he bowled in Canwood and always remained true to his faith. He will be truly missed by his family and friends. Donald leaves to cherish his memory, his daughter Theresa (Daniel Rohatynsky); his son Kevin (Shannon) Holman; his grandchildren, Regan Burgmaier (Tara), Scott Burgmaier, Amanda Herle (Jared), Jason Holman, Morgan Holman, Samantha Auger (Colton); his great grandchildren, Donovan, Blake, Brodie and Lexie Burgmaier; and Novalee & Preslee Herle. Donald was predeceased by his wife Ethel Ann Holman (nee: Czank) of almost 60 years; his parents Charles and Gladys Holman; and his brother Kenneth Holman. The Mass of Christian Burial for Donald will be celebrated on Saturday, February 2, 2019 at 2:00 p.m. from St. Agatha’s RC Church in Shellbrook, SK, with Father Phong Tran as Celebrant. Donald will be laid to rest in the Shellbrook Cemetery following the service. In lieu of tributes, memorial donations may be made in memory of Donald to the St. Agatha’s RC Parish (Box 488 Shellbrook, SK S0J 2E0). Family and friends wishing to extend condolences are most welcome to visit www.beaulacfuneralhome.com Arrangements have been entrusted to the care of Beau “Lac” Funeral Home in Shellbrook, Tammy Smart – Director (306-747-2828).